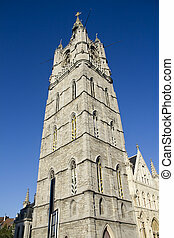 The belfort in ghent, belgium. 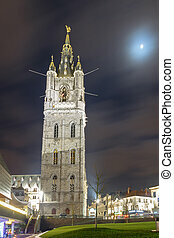 Central City Tower Belfort in Ghent at night. 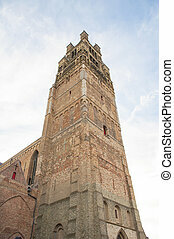 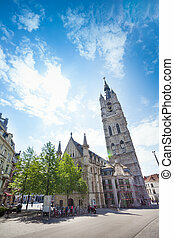 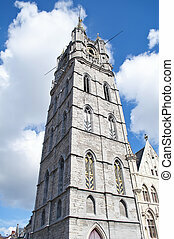 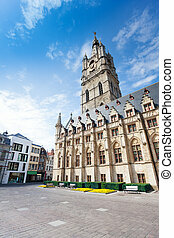 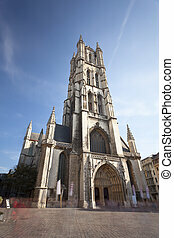 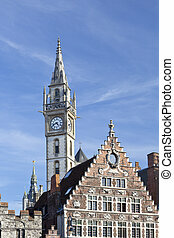 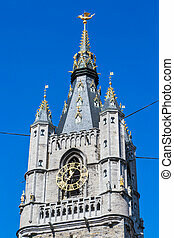 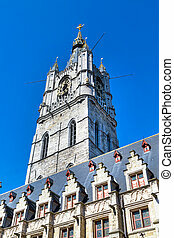 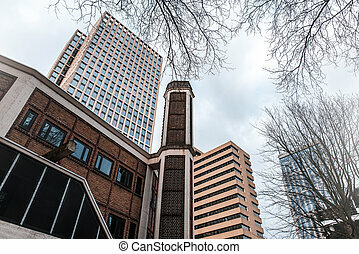 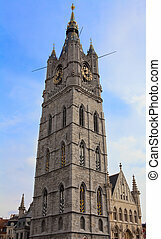 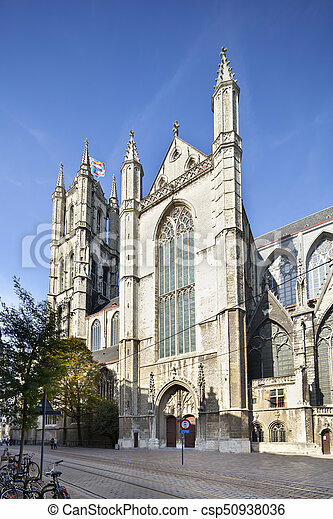 Famous old houses and the tower at Graslei in Ghent, Belgium. 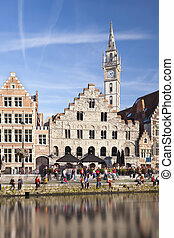 Daytime long exposure shot of the famous old houses at Graslei in Ghent, Belgium. 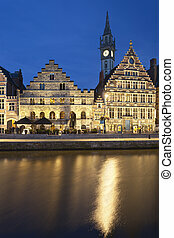 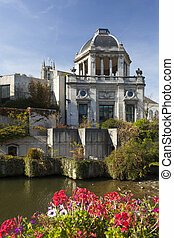 One of the typical and beautiful old style buildings in Ghent, Belgium. 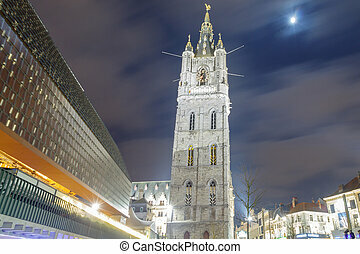 Daytime long exposure shot of the famous cathedral in Ghent, Belgium. 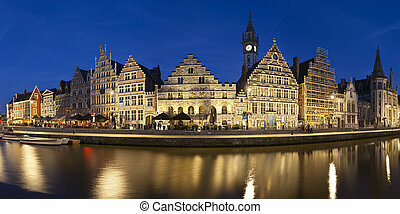 Nighttime long exposure shot of the famous old houses at Graslei in Ghent, Belgium. 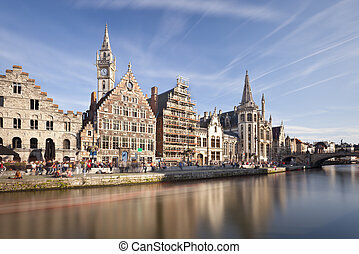 Daytime long exposure panorama of the famous canal view at Graslei in Ghent, Belgium. 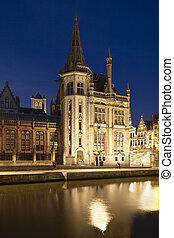 Backside of the old post office building in Ghent, Belgium with night blue sky and reflection. 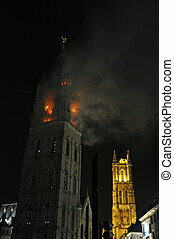 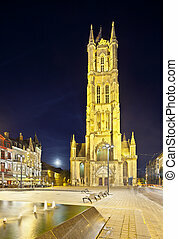 The famous cathedral in Ghent, Belgium at night. 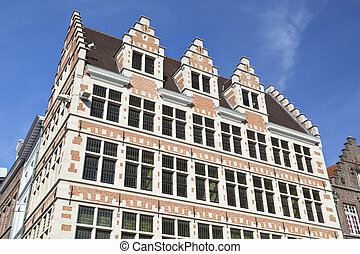 One of many old buildings in the center of Ghent, Belgium. 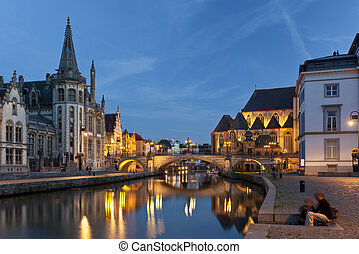 Nighttime long exposure panorama of the famous canal view at Graslei in Ghent, Belgium. 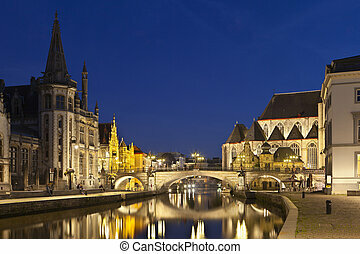 Nighttime long exposure shot of the famous canal with Saint Michaels Bridge at Graslei in Ghent, Belgium.